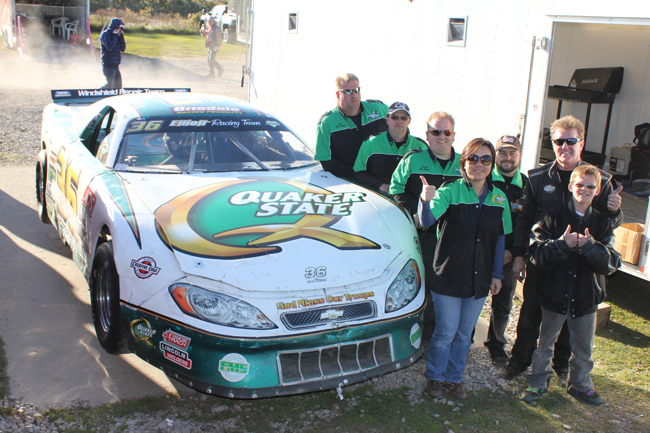 Here is our 2012 crew, except for NASCAR star Kenny Wallace, who was visiting Flamboro on this day, August 20th, for the Shoot Out, and graciously joined us for this picture…..Bob commits twice a week to help prepare the car between races and over the winter. Paul Johnson and Jason Green make it out whenever they can. I appreciate the help we get from all our crew. 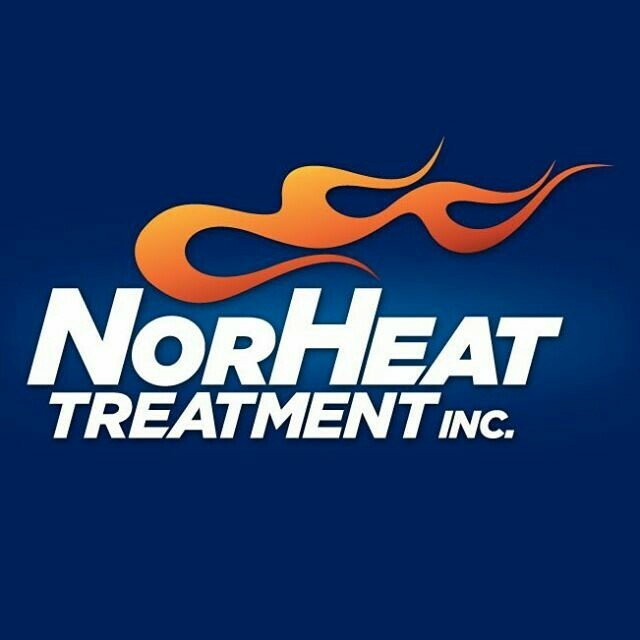 It is impossible for Ryan or Matt to come to Waterdown to our shop, because of where they live, over 2 hours away, however the car comes to the track every week race ready, and they help the rest of us keep it that way at the track. It was a tough year for us, maybe the toughest ever, but we climbed to the top 10 in points and competed our 44th season with our 36th of perfect attendance. Nonie and I appreciate the dedication from each and everyone of our crew members. 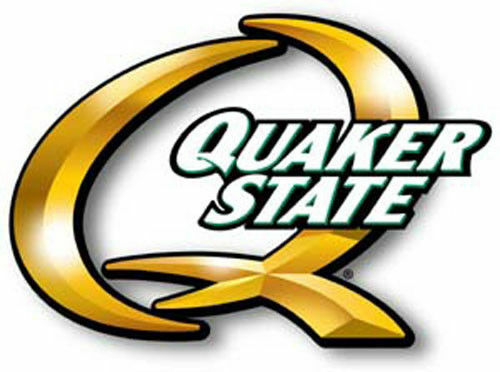 God bless boys, next year our 45th and 40th with Quaker State. 2011 was a very tough year for us. In the beginning of the seaosn we could not get our car to handle properly at our home track. The set up was off at Flamboro, just not working. Bob was my head spotter and watched closely to learn what he could with our chassis. By early June we were out of the points race, sitting 11th. In early July things started to turn around. Bob, Gerry and I and worked as a team and we could see the improvements week after week. We finally got our car working towards the end of July. We climbed up to 6th in poins but our efforts at Sunset Speedway were very good. The first time there we qualifed on the pole and the second visit produced a 5th fastest in time trials. The season was a combinaion of bad set up in the first two months and bad luck overall. The night this picture was taken we had a very serious wreck coming off turn four. The front frame was bent badly but with our crew and excellent help from Junior Hanley we made it back out the next week. 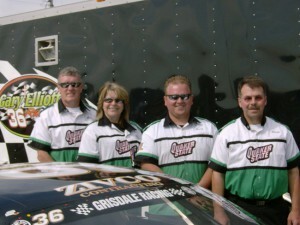 Nonie and I are very thankful for Bob and Gerry, for working together and making 2011 a fun season. 2010 pit crew. From left to right are Jim Hulzinga, Marty Hagen, Jason Chapman, Rob Twitchett, and on the far right our grand son Gehrig Halliday. 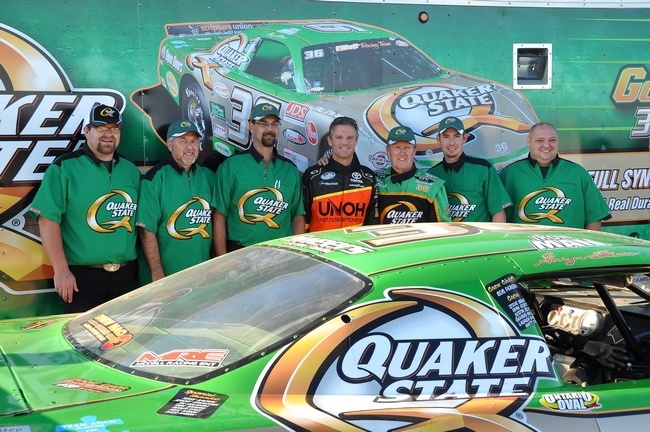 Pictured with us is Amanda Li from Quaker State. Our crew worked very hard in 2010. It was a very tough year, perhaps too much to bare. We had a run of bad luck that eliminated our chances at a top three in the Flamboro points. That span crushed the spirit of our crew and was very hard on my wallet. August 7th with my worst crash in 42 seasons. The car was bent very bad, but fixed and returned the next week, only to crash again, not near as bad. However, the week following, August 21st, we had a great race going for us, just took over the lead in the feature when we were hit by the car in 2nd place and wrecked badly again. It was over the top discouraging for all of us. To see our car get wrecked week after week, was frustrating. Thanks to a dedicated crew, our car was very good most nights, always competitive. It wasn’t my driving style to rough up other drivers on the track intentionally. The same respect was not shown back. 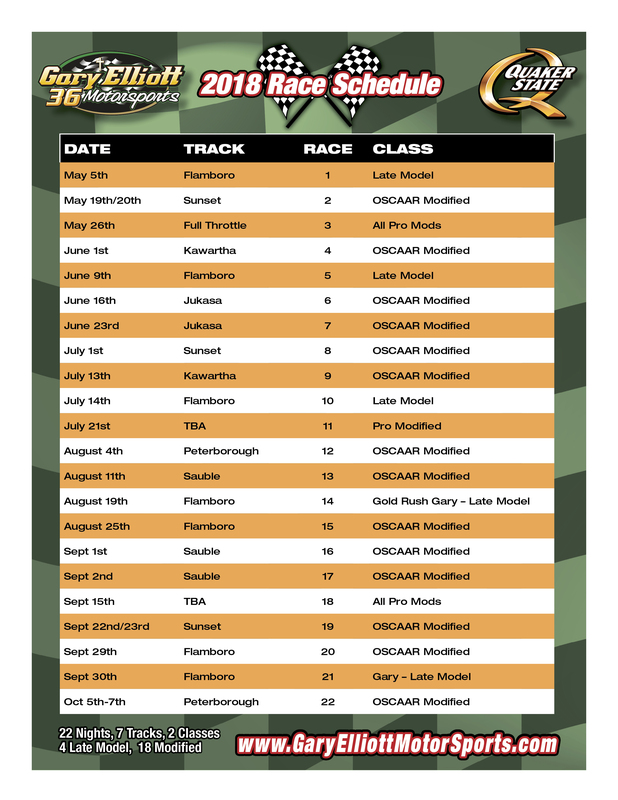 I’ve known and faced that fact for years, it’s part of racing, we could have used a little more balance in our favour…..On the good side, we did have a good season finishing 4th at our home track points standing. 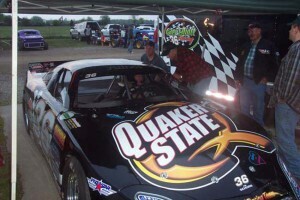 We picked up a heat win at Sauble, qualifying on the pole with my son David. 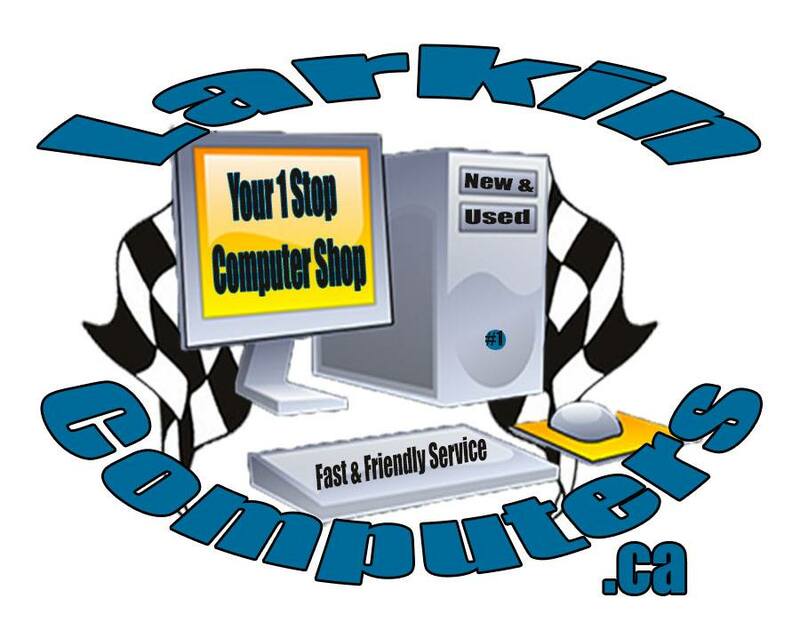 We also won the pole position on May 29th at Flamboro and finsihed a very strong 5th on the new high banked oval at Sunset Speedway with some very good drivers in attendance. We had a 5th in both the Grisdale Triple Crown and the Octoberfest Twin 50’s. Nonie and I thank all of our crew in 2010 and their families for their dedication and support throughout 2010. (note Gordon Nicholson, one of our crew members took this photo, absent was Perry Van Haaren and Morgan Crewson ). 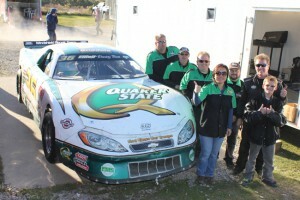 This picture was taken on the last race at Flamboro Speedway in October. Our crew did an amazing job this year keeping both our cars on the track every week end. The #9 car was driven by Trevor Monaghan for the final few weeks of the season. Trevor in the red fire suit had his brother Mike and friend Mike help him, they are on hsi immediate right. Our crew: * Allen MacLean on the far left of the photo * Jason Chapman our Car Chief on the far right * Troy Stere beside Jason * Crew Chief Jim Hulzinga is beside me * Mike Van Slingerland from Freedom Village on my right. My crew were exceptional in 2009 working hard on the two cars and making sure the #36 was set up perfect everytime I took it on the track. Nonie and I want to thank our crew for being dedicated in our 5th and toughest season in Late Models. Their hard work got us a 4th in Flamboro points and a 3rd in the Grisdale Triple Crown series. 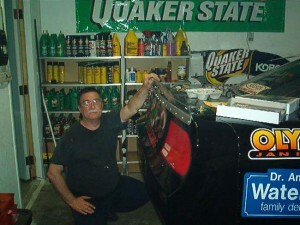 We are so fortunate to have these wonderful friends helping us with our race car. There is no possible way for one person to do this on their own. Racing is a great sport and brings excitement to those helping and watching as much as it does to the driver. Nonie and I are truly grateful to those who dedicate their time and effort in supporting us with our racing venture….Beside me is Nonie, my wife of 38 years (1970) then Jason Chapman (our Car Chief), Shirley Elliott (our daughter), Troy Stere, and my great friend and Crew Chief Jim Hulzinga. 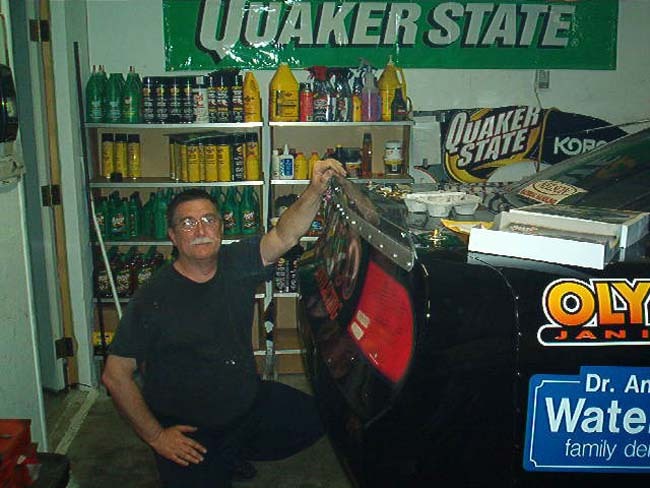 Missing in this photo is Perry Van Haaren, Charlie Howell and Marty Hagen, who is a crew member of our son David’s team, but who helps us on days when the Pennzoil car is not running. Nonie and I were very pleased with our crew. They helped make this season a great success. 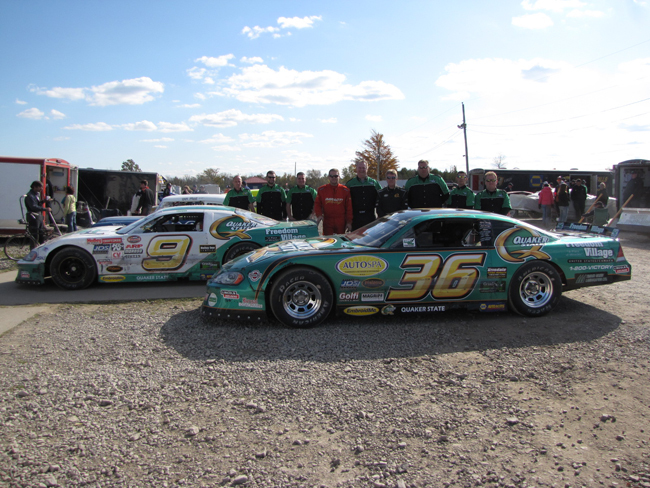 Beside Nonie is Jason Chapman and Perry Van Haaren at the Octoberfest race. Jim Hulzinga, our crew chief, was working this day and missed the team shot. Here are some of our 2006 crew members. Jason Chapman is at the rear of the car, Roger Creighton at the drivers window, Charlie Howell stands beside Rogers son, David Creighton. Missing here is Crew Chief Jim Hulzinga, Thatcher Krupp and Dave Watson. 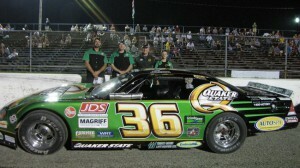 This was our rookie season in Late Models and many crew members worked hard to get us the success we had. One was Dave Watson, pictured here. Our crew consisted of Crew Chief Jim Hulzinga, Jason Chapman, Dave Watosn, Roger and David Creichton, Chris Young and Steve Zivanic.